Khalil is a Certified Professional Contracts Manager, Certified Federal Contracts Manager and Certified Commercial Contracts Manager from National Contracts Management Association (NCMA) based in Ashburn, VA (USA). He has Masters in Law (LL.M in International and Comparative law) from Chicago Kent College of Law, Chicago, IL, graduated with Hons. He has a Paralegal certificate from Southwestern Paralegal Institute (American Bar Association approved) in Houston, TX. He has MBA from KC College of Management, LLB. (Bachelors of Law - Attorney) from University of Bombay, and BS (Chemistry) from University of Bombay, India. He has an extensive background working in commercial, international and government entities. He has experience in compliance / contract management/vendor management/time management/ project management for more than 20 years. He has worked for major Oil and Gas companies, such as Shell, Apache and ConocoPhillips in international and commercial sector (legal department) and has proven track record for Contracts drafting/ reviewing/ management of case load for 35B USD. He has managed a caseload of 18,000 cases and worked as lead enforcement specialists for Office of the Attorney General (OAG) of Texas and has received multiple Achievement Awards for excellence, negotiating lump sum collection and outstanding performance at OAG. Jerry is licensed to practice in Arkansas, New Jersey, US Supreme Court, US Court of Federal Claims, US Court of International Trade. He has extensive experience with proposal writing, prepared proposals for U.S. Government and Aerospace Prime Contractors for services, hardware or combination of both. Prepared and negotiated proposals that were evaluated for awards using varying weighted factors for technical, management, cost, past performance, best value, etc. Proposals have been cost and fixed fee, fixed price, fixed price level of effort, time/material, and combination of pricing types in one proposal. Over 40% of contracts work has been proposals and contract formation. He has represented proposals resulting in contract negotiations/finalization with major companies such as: Lockheed Martin, Sikorsky Lockheed Martin Company, General Dynamics, Northup Grumman, Raytheon, Ball Aerospace, Harris, Honeywell, Aerospace Corporation, L3, TRAX, Leonardo DRS, BAE, Elbit, Bell, Newport News Shipbuilding (HII), Rockwell Collins, Navy, Army, Air Force, Defense Logistics Agency, FAA, and NASA. He has extensive experience with DCAA audits to include reviewing all DCAA work papers/audits for 5 year period for $2 billion defense contractor in sales with 90% being material under government contract payments. Incurred costs audits and proposal audits by Dallas DCMA and Dallas area DCAA offices were managed with successful results and continued contract awards. Jerry also managed DCAA audit that confirmed proposal costs correlated to billing costs. Provided expert advice and services to government contractors in the following areas: contract proposals preparation, advice to contract proposal teams on story boards and themes, guidance on writing to response to proposal technical requirements, clarifying proposal requirements with contracting and technical personnel, foreign military sale process, ITAR process and impact on exports and data discussions, marketing development for military vehicle contractors, testing contractor business advice, part supplier issues, FRET applied to military vehicles, DFAS payment issues, government contract changes, data rights, and government contracts counseling. Jerry’s primary key to success has been relationship development with customers and government personnel. Relationship development fosters goodwill with government decision makers. Also, phone calls are returned and communications continued. Participation and attendance at government and industry functions promotes issue resolution with customer. Requests for equitable adjustment (REA) have been prepared for federal contractors and submitted under Federal Acquisition Regulations. Representative Clients: Stewart & Stevenson, Harsco Corporation, DRS Dallas, Nevada Automotive Test Center, Jack Morgan Construction Company, Demmer Corporation, Hunter Manufacturing Company, Windward Enterprises, etc. Jerry’s past experiences include: Contracts Manager, General Manger & Division Counsel (Harsco Corporation), Sr Counsel & Contracts Negotiator (Honeywell), Contracts Attorney (Army 7th Signal Command). Charles is a Certified Federal Contracts Manager from the National Contracts Management Association (NCMA) based in Ashburn, VA. He has a Masters in Business Administration (MBA) from George Mason University, with emphasis in Administrative Management. He has a Certificate in Procurement and Contract Management from the University of Virginia. He is a long time member and participant in training programs with NCMA. He has a BS in General Engineering (with minor in Analytical Management) from the U.S. Naval Academy. He has extensive experience providing Contract Administration and Management (22 yrs. ), Program Management and Program Controls (10 yrs. ), Personnel Management and Supervision, and Material Management in civilian and military (5 yrs.) settings; involving leadership, management and decisions effecting resources including personnel, material and money. He has strong cradle to grave experience managing a wide variety of Federal Government (Intelligence Community (IC), DOD and Civilian) contract types in accordance with applicable laws, customer requirements (FAR, DFARS, numerous agency supplements),and diverse contractor company policies and procedures for numerous types of efforts to deliver products and services (including R&D, Engineering Development, Logistics, Systems Engineering and Integration, Program/Business Management, Services, Intelligence and Information Technology) . He has worked for major government contractor companies; including Raytheon, SRA, SAIC, L-3 Communications, and BAE Systems. Robert joined Dynamic Contracts Consultants and brings energy and experience as part of the management team in growing Dynamic Contracts Consultants. He graduated from GMI Engineering Institute with his engineering degree and the University of Rochester Simon School Of Business with an MBA. He has a passion for growing companies and developing solutions for customers. Hope has vast experience and specializes in Due Diligence Reports, Permits and Approvals, Zoning and Development requirements, Information and Developer Requirements, Planning Approval and Platting Requirements, Permit Process, Architectural Requirements, and Parking Requirements. She has worked on Due Diligence for different business in different states. Her specialties also include, coordination with the appropriate agencies and utility companies on Easements, Encroachments and relocation. RSM & Associates - Project Management & Controls , Enterprise Contract Management, Proposal Management and Development Systems Engineering. Robert has 40+ years of experience, working with major Commercial companies and in US Federal Government sector. RSM & Associates provides high value, deep experience in multiple industries (sidebar) to plan strategy, assemble teams, lead capture and proposal efforts and/or perform project startup, audit or turnaround tasks. RSM & Associates also provides general enterprise consulting to improve competitiveness, institute new and best practices and USG compliant plans, processes and procedures. 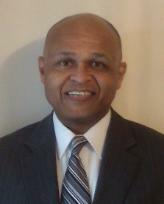 Marcellous has been practicing attorney for more than 20+ years and is a Judge for Harris County. He has been practicing Commercial Litigation, including, but not limited to, real estate, banking, commercial leases and oil and gas litigation. He specialties include: Government and commercial sector: Draft / review / analyze / review and examine contracts involving leases, licenses, purchases, sales, insurance; provide legal advice to commercial organizations, prepare resolutions and forms and participate in major legal actions; responsible for foreseeing and protecting companies against legal risk. MaryAnn is a member of the State of New Hampshire and Commonwealth of Massachusetts Bar. She is a Certified Federal Contracts Manager (CFCM) and a Certified Professional Contracts Manager (CPCM) and has over 15 years of legal experience in the Government arena. She holds a MBA along with a Juris Doctorate. She has experience dealing with Federal Government, State and Municipalities along with Global and Commercial companies. In the global arena, Mary Ann has worked with primarily with sales and procurement contracts in the EMEA and the Far East.